MYPIE, who serve awide range of 'proper pies' are taking over the kitchen at The King & Co in Clapham from 2nd January to 26th February 2016. 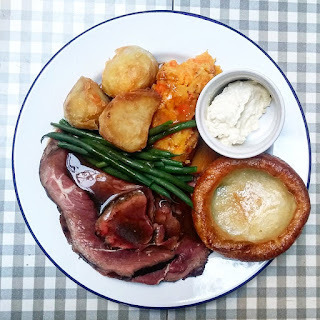 Expect a regularly changing line-up, including smoked ham hock & tarragon, roasted mushrooms, spinach and truffle oil; and the best-selling steak, chilli and cheese, plus sides of chips, mash and gravy. There will also be desserts like crumbles, brownies and more - perfect for the chilly months - plus weekend brunches and Sunday Roasts. See you there! "Popular independent Clapham pub The King & Co will kickstart 2017 with an extended kitchen residency by much-loved streetfood trader MYPIE, promising to keep South London warm with their comforting classics until Winter ends. Launching on Monday 2nd January and running daily until the end of February, the two month pub popup will showcase MYPIE’s award-winning epic pies alongside satisfying bar snacks and tempting puddings; as well as brand new Saturday brunch specials and Sunday roasts. Visitors to MYPIE’s two month kitchen takeover can take their pick from a weekly-changing selection of proper pies; such as free-range British chicken, smoked ham hock and tarragon; roasted mushrooms, spinach and truffle oil; and the best-selling steak, chilli and cheese. 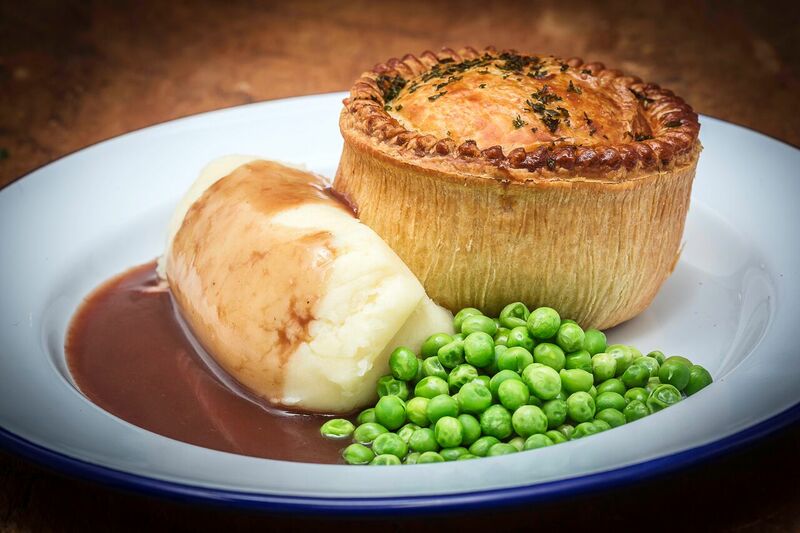 Committed to serving honest food, the team make everything from scratch every day, and all of the pies will come served with mash or chips and lashings of real gravy. Sure to cure January blues, MYPIE’s pudding options will include traditional Winter fruit crumble with toasted oats and rich custard, and their sought-after irresistible warm double chocolate and peanut butter brownie with vanilla ice-cream. Those looking for a lighter bite with their pint can enjoy an array of bar snacks like Chris’s acclaimed free-range pork, caramelised onion and mustard sausage roll that was crowned champion at the “Great Sausage Roll-Off” in 2014, and his new free-range pork and black pudding scotch egg. During the daytime on Saturdays, these irresistible bar snacks will be joined by MYPIE’s unique take on British brunch favourites, ranging from an all-day breakfast pie comprising egg, bacon, black pudding, mushroom, tomato and beans; to a special 24 hour braised ox cheek, lemon and olive “steak slice”; and poached eggs on toast with pesto, crushed peas, and ricotta. Hailed as one of Evening Standard’s top 10 boozy brunches in London, pub diners can tuck into MYPIE’s brunch menu accompanied by bottomless Bloody Marys, Cava and selected cask ale for a great value £25 meal package. In a first for The King & Co, the new kitchen residency will also feature Sunday roast lunches such as medium rare beef with roast potatoes, root vegetable smash, greens and Yorkshire pudding. MYPIE was founded by trained chef Chris Brumby in 2014, who was frustrated by the poor quality mass-produced pies often served at football matches and music festivals and passionate to prove that a streetfood pie could taste just as great as those made at home. Winner of 5 medals at the British Pie Awards in 2016, MYPIE's "epic pies and awesome sides" have built up a loyal cult following, with regular sell-out successful sessions in Streetdots' Broadgate Circle lineup plus guest trader spots at Southbank Centre Food Market, KERB events around London, and numerous weddings across the UK. Now the crowd-pleasing staples from their vintage Bedford van will be joined by a host of hearty new dishes at The King & Co for the trader’s first extended residency."